An online meeting place for the students, staff, and parents of Queen's Grant to learn about and discuss books. Welcome to the new QG Reads blog! Check back here often to see new book recommendations, hear from your teachers, and interact with your classmates on the summer reading. Who knows… maybe you’ll even find some extra credit opportunities over the summer for being active on QG Reads! For now, let us know in the comments if there’s a book you’re looking forward to having the time to read this summer. 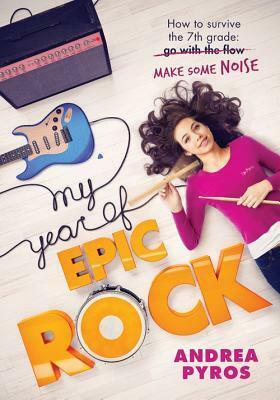 Here’s one I read a couple of summers ago called My Year of Epic Rock; if you’re looking for a book to start with, check it out! Next Next post: Check out Summer Reading with the Char-Meck Library! I am excited about reading the Teachers Guide to Student-led Conferences. Hi. I’m Mrs. Trakas. Conner and I are having a competition with reading the assigned book. It’s been fun. He’s been motivated and has read way ahead of me. Now we have to set a time limit and see who reads farther within that time limit. I’m a second language (ESL) teacher and am interested in these types of things anyway, and it has been a joy for me to read about young people wanting to reach out to other young people across the ocean. It’s been a great read so far and I look forward to reading the rest of the book! That is awesome, glad you both are enjoying the book. I agree, it is great to see her stick with it and not give up on it. I also agree with Mr. Adam, it is great!